From milestone occasions to drinks with close friends, every birthday deserves a celebration. 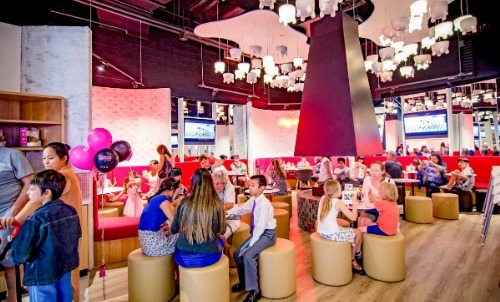 Whether you're looking to plan a sweet 16th, an 18th, 21st or a milestone occasion, we have a range of birthday party spaces available to hire in Brisbane and the Gold Coast. Scroll down to view our list of birthday party ideas, or enquire now to start planning your event. Organise a fun 13th that all the kids at school will be talking about. Celebrate this important milestone by hosting the absolute sweetest sixteenth. Mingle over cocktails, mocktails, tap beers and wines – or meet during the day for tea, coffee, smoothies and juice! Stir things up with a masterclass with friends! Learn to make four different cocktails in a fun environment. Celebrate your birthday party with your choice of Cowch’s famously decadent desserts. 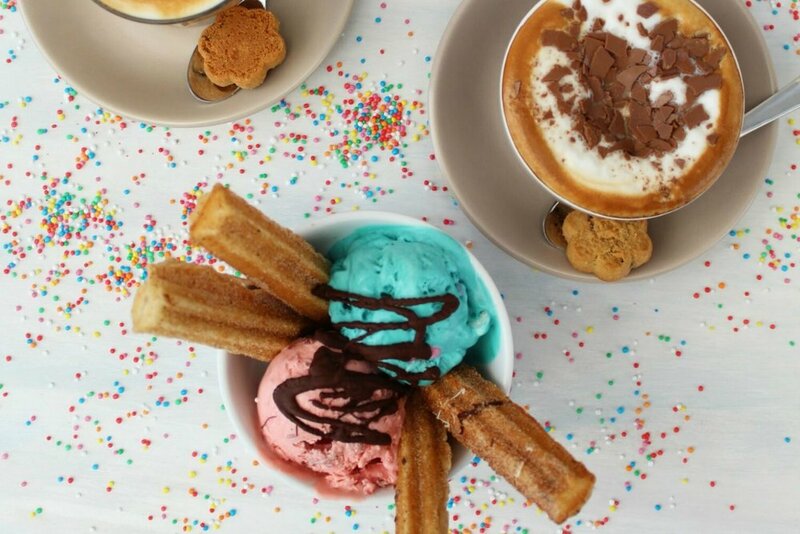 Host the ultimate birthday party featuring churros platters, dessert pizzas and your choice of a smoothie or glass of fizz per person. The ultimate birthday party spread for those with a serious sweet tooth. 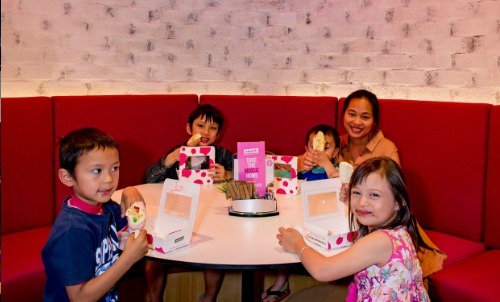 Take your birthday celebrations to trendy South Bank, Brisbane, home of our first dessert bar. 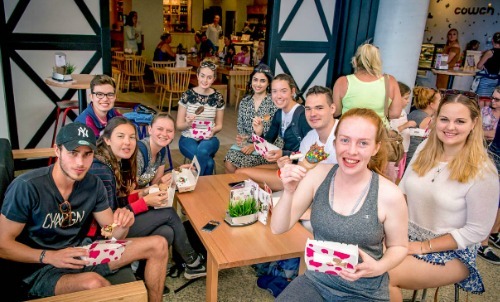 Discover South Bank's favourite birthday party venue featuring a jaw dropping selection of desserts and a range of function spaces available for hire. Navigate through our birthday party spaces by clicking on the arrows below. Take center stage and host your birthday party among friends and family from our exclusive table setting. Cosy up to our al fresco birthday party space, lined with comfy couches and low-lying tables. From 21st birthday parties, 30ths, 40ths and everything in between, throw a spectacular milestone celebration featuring exclusive access to Brisbane’s best cocktail dessert bar. Light the candles and throw an indulgent adventure the Gold Coast’s best birthday party venue. 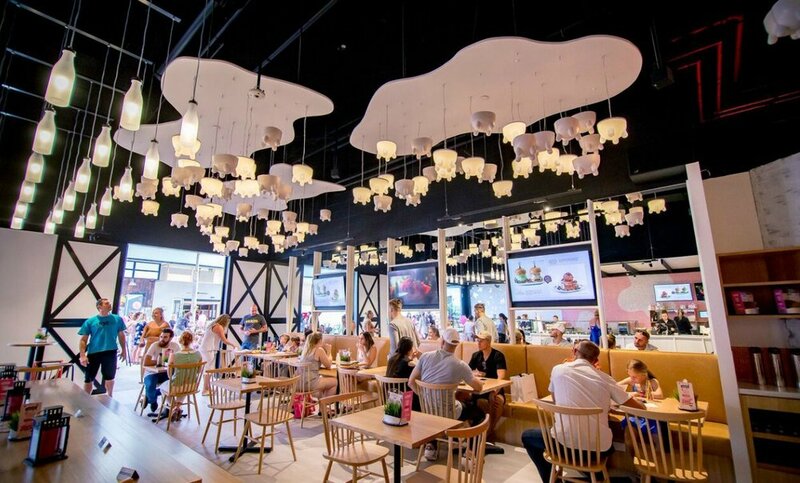 Discover our range of super sweet party spaces available to hire on the Gold Coast. Navigate through our function spaces with the arrows below, or click the button below to start planning your birthday party. Keep the birthday party festivities casual this year. Cuddle into our couches for laid-back drinks or a few shared desserts. A sit-down affair never looked sweeter. Host an impressive birthday party from our communal dining table. It doesn’t have to be a milestone to celebrate. Keep things intimate this year with our cosy booths. Take a seat in our dining space, a casual function space available to hire for lunch, dinner, dessert and drinks. Treat guests to exclusive access of our entire venue – perfect for big birthday bashes including 18th and 21st birthday parties! Start planning your birthday party at Cowch Dessert Cocktail Bar. Start planning your function at Cowch Dessert Cocktail Bar. Complete the form below to start planning your birthday party at Cowch Dessert Cocktail Bar. Your enquiry has been received. A member of our team will be in touch with you soon.